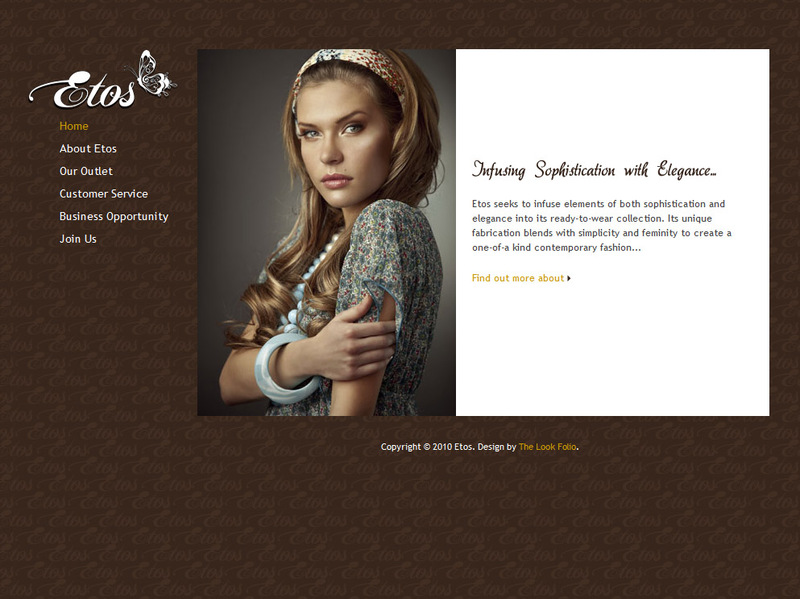 The brand’s concept is to encapsulate the spirit of confident, fun, bohemian women. 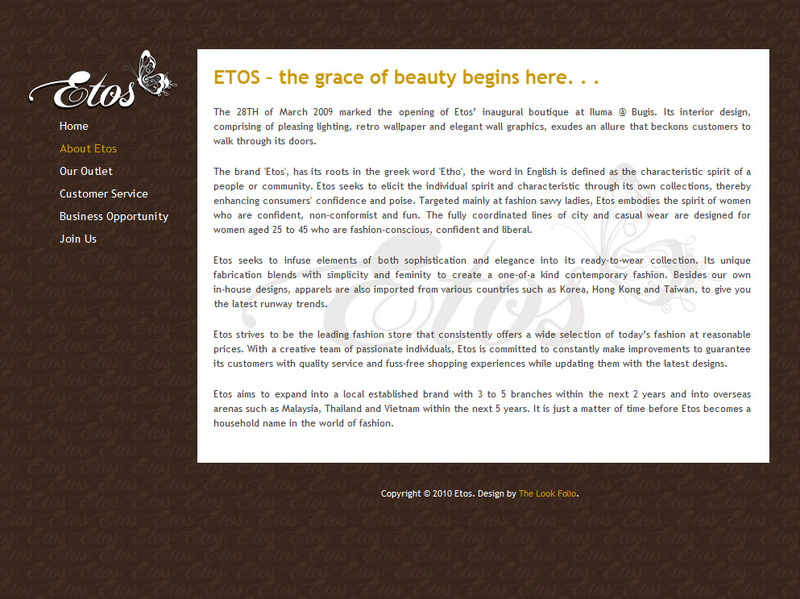 Etos seeks to infuse the elements of both sophistication and elegance into its ready-to-wear collection. The vision was to create a one-of-a kind contemporary fashion line that reflects the latest runway trends in Asia. 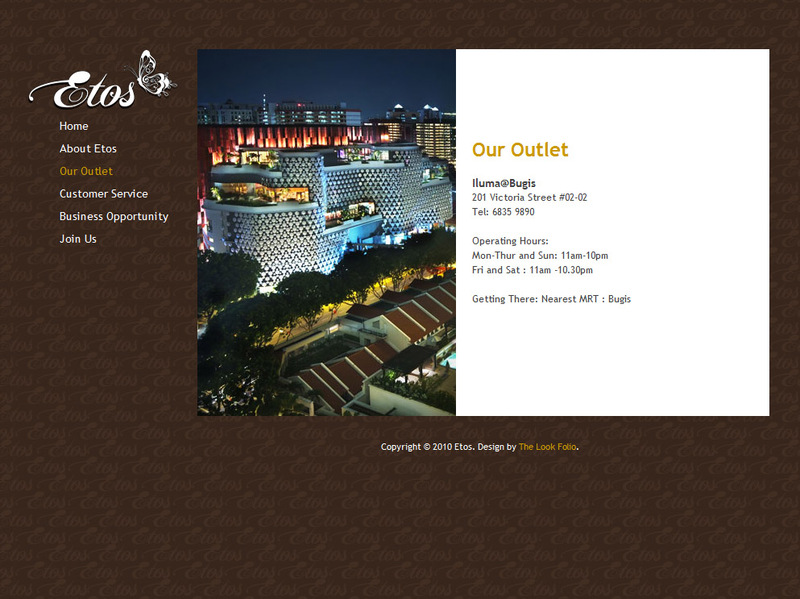 The website was conceptualised with these in mind.